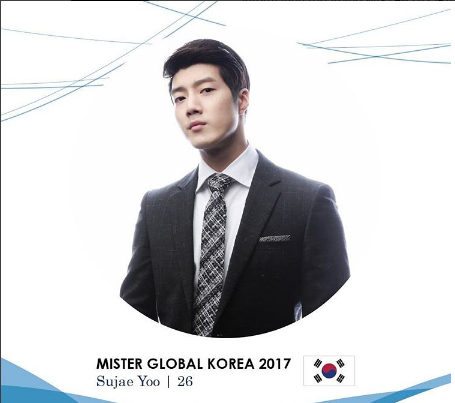 Mister Global Korea 2017 is Sujae Yoo. The 26-year-old TV show host and part-time model is a native of Seoul, Korea. He has experience in many fashion shows in Korea and will use this modeling skill in the Mister Global 2017 pageant. He is excited to go to Thailand because it is one of his dream countries he wanted to visit.